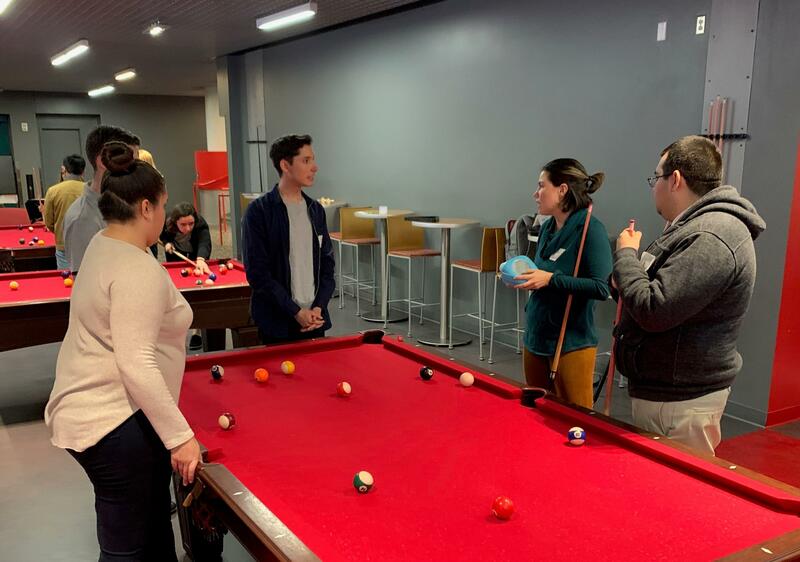 Connecting YOU with SDSU Innovators and ZIP Launchpad Startups! ZIP Launchpad has the unique opportunity to provide students and ZIP Launchpad teams with paid experience working for students startups. 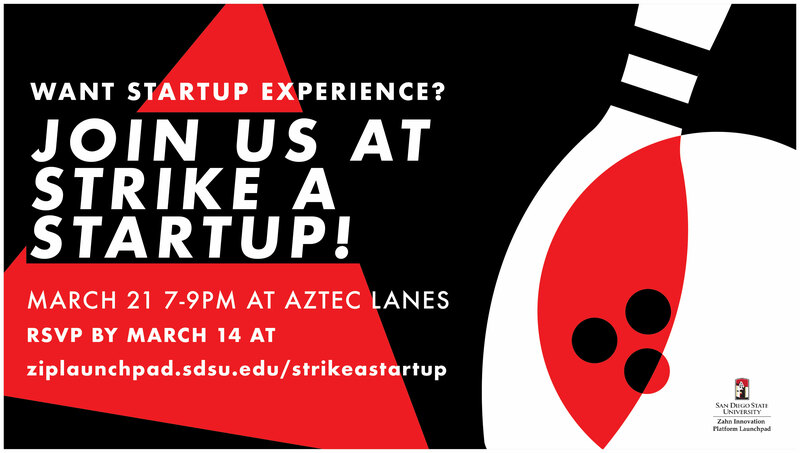 Strike a Startup will be a fun, speed dating style event, to facilitate this held at Aztec Lanes, aimed at helping students gain experience by joining one of the many ZIP Launchpad startups that are currently looking for a different skill set. You could be asked to work with the startup for a specific project or maybe to even join the team! If you are matched with a ZIP team, you will have the opportunity to benefit from the Aztec Cooperative Fund and get paid for the work you do!